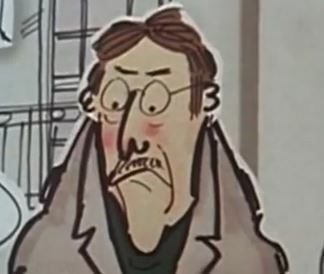 Hi, I’m Cardboard Mr Curry from the barely animated Paddington TV series from the 1970’s, much beloved by a generation who saw it as a genuine step up from a flapping card behind Captain Pugwash’s mouth. As it was. And I am here to give you the next five really not all that controversial films in the not-a-poll list of 2014 films. I am also here to make absolutely certain that Paddington does not make the list, because they turned what was just a bit of a mean-spirited neighbour into what appeared to be a lovelorn racist. Now I may have been an irascible nimby, but my qualms were mainly based on the hi-jinks that bear got up to rather than his origin. As far as the cardboard version of me goes, I don’t care what shade of Peru that bear came from. My name is Mr Curry after all, you don’t get a name like that without considering the role immigration played in your own lineage. And thus I am here to make sure Paddington doesn’t make the list. Thanks Cardboard Mr Curry , and you will be pleased to hear that Paddington didn’t make the list. Talking of tugging at political heartstrings… Sometimes the goodwill from being a film that does something politically admirable (here having a female fronted comedy which has a large non-judgemental abortion storyline) allows you to relax into enjoying the characters, Jenny Slate being wholly comfortable in the central role. Obvious Child is one of those comedy dramas which knows how to play its characters between realistic drama and broad humour, like a nicely seasoned TV drama. It earns its beats and its central romance is remarkable in movie terms as to how unforced it all is. Indeed the primary drama in the film play wholly on the tension between what would happen in a film/TV Movie and what would happen in real life. A nice, funny movie. A proper stripped down (in so many ways ) thriller that revels in its formal rigour. One location, about six characters, some wonderful fixed camera shots that ebb and flow over the film. It is a murder mystery, where tension is slowly ratcheted up as we see the dangers our lead characters are knowingly and unknowingly putting themselves in. 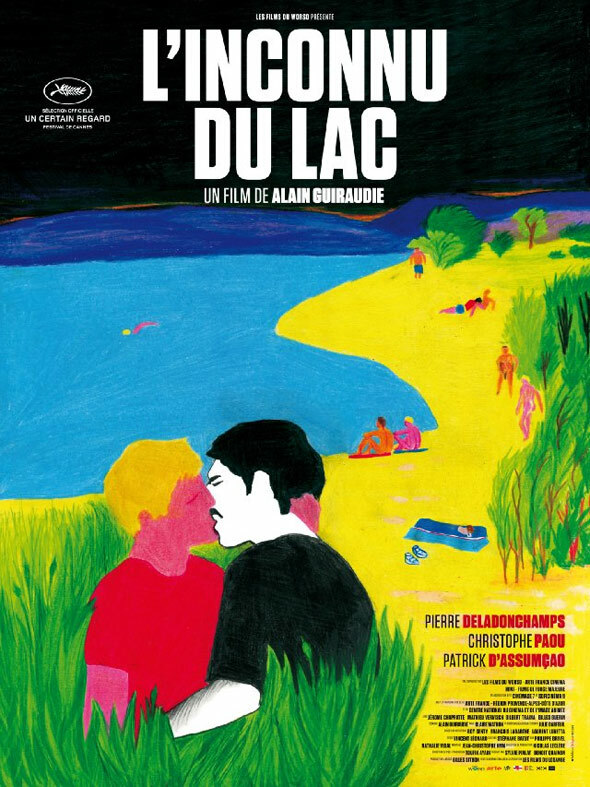 Less a commentary on the cruising scene that a consideration of the kind of human connection the scene would set up, it looks wonderful, is perfectly acted and comes in at a breathless ninety minutes. I didn’t like the end of Under The Skin when I saw it, and have pretty much been won round by everyone elses take on it. But not liking the end was in sharp contrast to loving the rest of the film, the aesthetic, the tone, the tremendous soundtrack. An unsettling, but simple film that lets the audience get as much or as little out of it as you want (which is why perhaps my misogynistic reading of the end said a little too much about me). 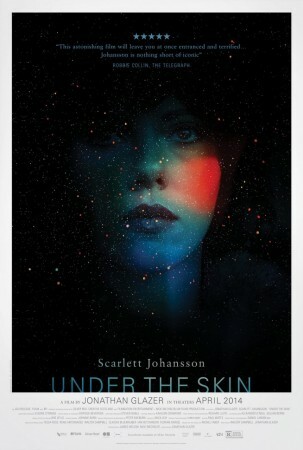 Johansson had a great year, and this is the moment where Jonathan Glazer brings it all perfectly together. A true cinematic experience. Back to politics, and I guess I liked Citizenfour so much almost because of what it wasn’t as well as what it was. 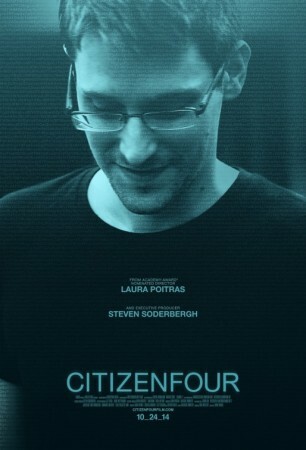 Wholly convincing as a veritie telling of Edward Snowden’s whistleblowing, it stands in bold contrast to the Julien Assange films of the last few years. The thriller where you know the ending is even harder to pull off as a documentary, but this both manages to instil the viewer with locked room paranoia, and then explain patiently and clearly in a way that none of the news stories ever could as to why that paranoia is absolutely justified. It feels like it is from a different year, and yet it drifted out quite late in award season in the UK, and has hung with me throughout the year. The destruction of a man’s place, the struggle for dignity, the nuanced matter-of-fact comparisons between good owners, bad owners, and the actual lack of difference between the two. I didn’t even mind magical dream pixie Brad Pitt. A powerful film built around a remarkable performance from Chiwetel Ejiofor, it already feels a touch ossified into the canon. 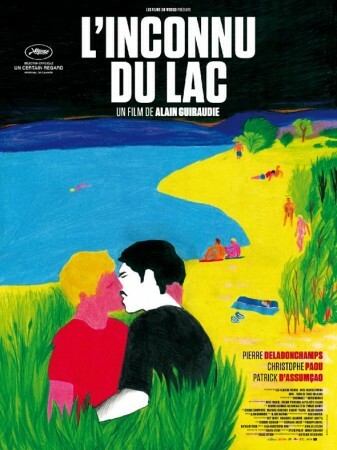 But it is better than that, it really is a remarkable film. 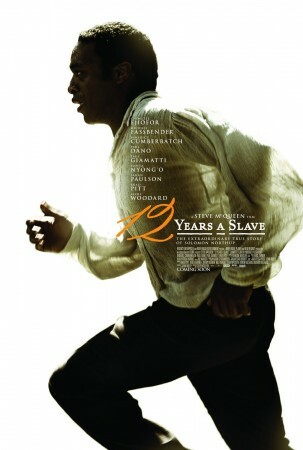 When I saw …Slave, there were four elderly people behind me chuckling through “that” scene. I’m not sure what’s worse, they idea that they found some sort of slapstick in it or the idea that it engaged them so little they were chortling about something entirely unrelated! So I’m with you on Obvious Child* and Under The Skin (I had different reservations, but I think that probably on balance it is an amazing thing) – I haven’t seen Stranger By The Lake or Citizenfour, but you’ve made me want to see both. Which brings us to 12 Years A Slave… In our previous discussion about this, you’ve come closer to selling me on it than anyone else has, but in contrast to your experience, it hasn’t stayed with me**. By no means do I think it’s a bad film – I just don’t think it’s an exceptional one. And I think when you’re doing that ‘hey, this is important’ thing with a film’s subject matter, you’re raising the stakes. 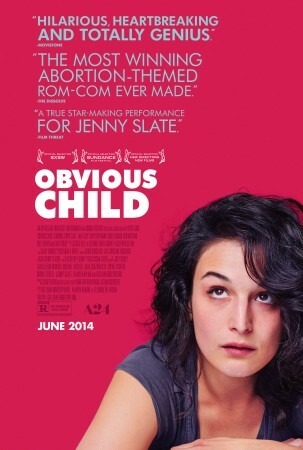 Maybe that’s why I prefer Obvious Child’s laidback amble into a political (in the US) minefield. ** I feel the notion of films staying with you is under-discussed in film criticism. That could be unfair.